Won't you come over and stay for a while. Take a seat, have a drink, we'd have a nice time. Turn on the TV. I believe it's prime time. I'll make you chicken cacciatore in five. I don't want to spend the winter in this house all alone. Those neighbors of mine keep coming over and playing with my mind. We could take the trash out every Thursday night. 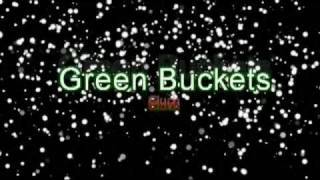 green buckets every Friday at every driveway. They're filled with glasses, plastics and newspapers too. They say they recycle and bring them back to you. We could be a family, consume many goods. We could be the pillars of the neighborhood. Ah babe, I'm a real hard worker. With the proper tools. I'll make you anything you yearn for. The barbarians are at the gate, come in before it's too late. I have food enough to last the two of us about a year. One thousand cans of chowder and one thousand cans of beer. but every year they are getting odder and odder.